The Cleveland RTX-4 wedges combine next generation Feel Balancing Technology, four sole grind options, and a 4th generation Rotex Face to help you get closer to the hole, more often. Next generation Feel Balancing Technology is optimized by loft for even more short game control while the four sole grinds deliver enough versatility to execute every short game shot imaginable. 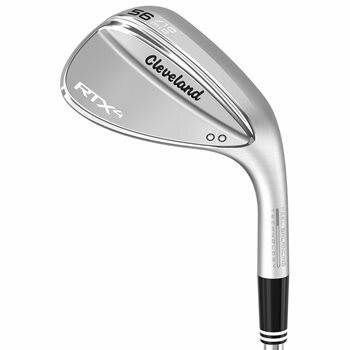 The 4th generation Rotex Face features Cleveland''s sharpest grooves and most aggressive face milling pattern. The Tour Satin premium finish provides less glare and the look and performance avid golfers demand.